Olympics? Check. Next stop: Hollywood. 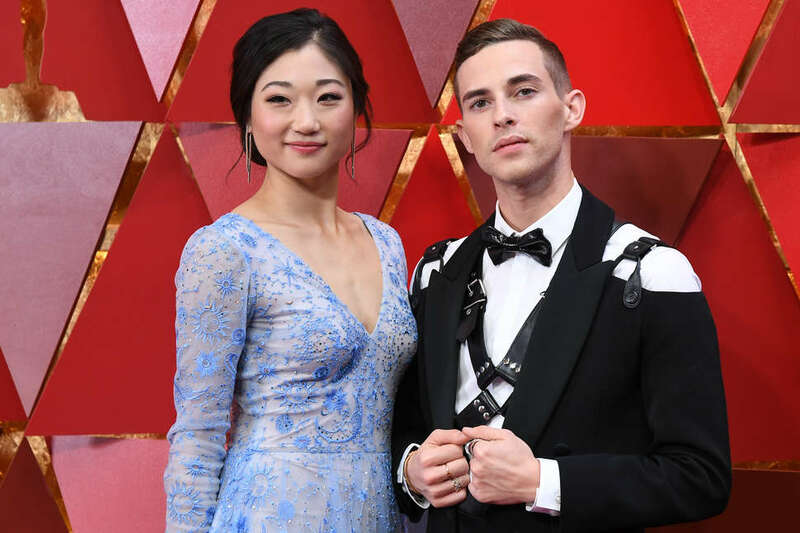 Figure skater and America's favorite quote machine Adam Rippon wasted no time making headlines on Oscars night, arriving at L.A.'s Dolby Theatre in a head-turning leather harness. "Dressed to impress," he wrote on Instagram, regarding the Moschino outfit, which included exposed shoulders, a patent leather bow tie, and a satin cummerbund. "Not only is Adam an amazing athlete, he is an inspiration to me for his unfailing determination to speak his truth and combat bigotry and hate with love and intelligence," Moschino's creative director, Jeremy Scott, told The Hollywood Reporter. "His tux is a nod to Old Hollywood with a twist."